Canned chicken broth takes up a great deal of space on pantry shelves, while homemade broth takes a considerable amount of work. Bouillon cubes take up a fraction of the time and space, providing instant flavor for soups, stews and gravies at a moment's notice. These flavor cubes are made by concentrating and dehydrating stock, then pressing it into solid form. At room temperature, bouillon cubes are shelf-stable for up to two years, and require only boiling water to reconstitute for a hearty broth. Fill a pot with water equal to the amount of broth called for by your recipe, or that you would like to prepare. 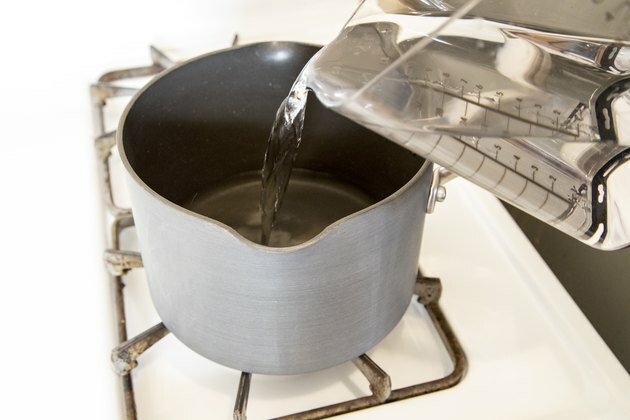 For example, if your recipe calls for 4 cups of broth, measure 4 cups of water. Bring the water to a boil. Place 1 bouillon cube into the pot for each cup of boiling water. For example, if your gravy calls for 4 cups of broth, drop 4 bouillon cubes into the water. 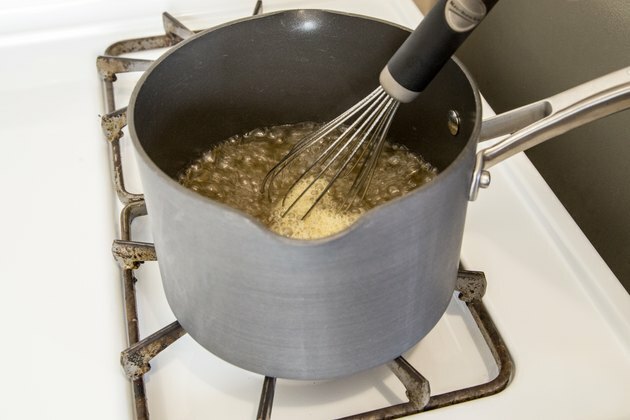 Whisk the broth until it is well incorporated and the cubes are thoroughly dissolved. Use the broth as directed in your recipe. Avoid adding extra salt to the dish until you taste it. Bouillon cubes are often salty due to the concentration of flavors. Salting a dish without tasting it first could result in an overly salty gravy, soup or stew. Check the ingredient list on each package if you are sensitive to additives such as monosodium glutamate, or MSG. While some products contain this flavor additive, others do not. Use bouillon broth in any recipe requiring chicken stock. 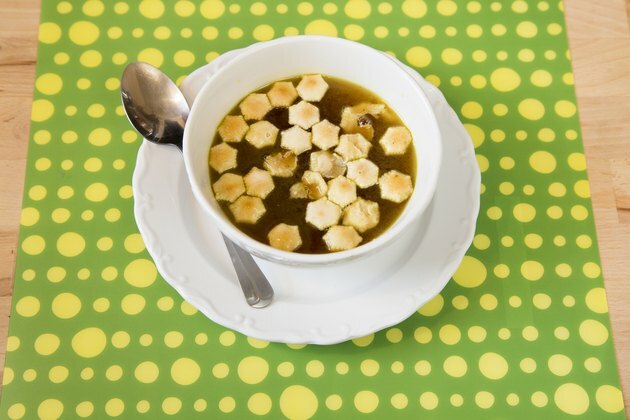 Bouillon cubes are handy to have on hand during times of illness, when a cup of hot broth soothes the throat. How Can I Make a Homemade Protein Shake That Will Build Muscle? How Do I Thicken the Gravy From Pot Roast?